(1) Today, one paper was published in the online version of the Journal of the Adelaide Botanic Gardens. P.S. Catcheside, H.P. Vonow & D.E.A. Catcheside, Entoloma ravinense (Agaricales, Basidiomycota), a new species from South Australia (1.8MB PDF). Mature fruit bodies of the holotype of Entoloma ravinense in situ. Photo: D.E.A. Catcheside. State Herbarium Hon. 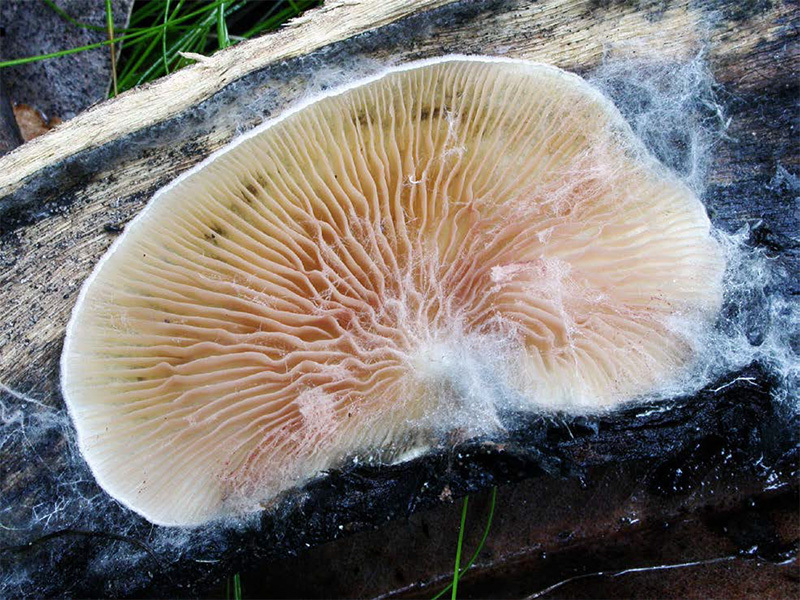 Associate Pam Catcheside and colleagues describe a new fungus they discovered in the Ravine des Casoars Wilderness Protection Area, Kangaroo Island. The type collection is particularly significant for South Australia, as it was accessioned as the millionth specimen at the State Herbarium in 2012. The authors examined the new species with morphological and molecular methods, discuss their results in detail, provide photographs and a key to Australian species of pleurotoid (lateral attached) entolomas. See also the report on the millionth specimen in the Board of the Botanic Gardens and State Herbarium Annual Report 2012-2012 (p. 14). (2) In addition, the State Herbarium also published a new brochure on hybridisation between native and introduced species of Carpobrotus (pigface). M. Waycott, Hybridisation in native pigface, Carpobrotus rossii (8pp., 5MB PDF). This brochure summarises the results of a research project by the State Herbarium of South Australia, funded by the Adelaide and Mt Lofty Ranges NRM Board (AMLR), on the invasive species Carpobrotus edulis (L.) N.E.Br. and its hybrids with the native Carpobrotus rossii (Haw.) Schwantes. Illustrations and keys to species of Carpobrotus in the Adelaide coastal regions are provided. Several staff and Hon. Associates of the State Herbarium, as well as one summer scholarship student and collaborators at The University of Adelaide, were involved in the project. The results indicate that hybridisation between the two species is common in areas where both species occur and identification of hybrids is complex. Hardcopy of the booklet is available from the AMLR main office at 205 Greenhill Road, Eastwood SA 5063, and will soon be distributed to other offices in the region. This entry was posted in Publications on 20 July, 2016 by Jürgen.